LAND ASIA Global Properties Network, a subsidiary of Land Asia & Development Corporation. It's worth a lifetime of fortune. * Avoid risk of not being paid with commission from sellers. You have legal back up. * Avoid too many time wasting paper works. Developers will do these tasks for you. * Be exposed to billions of stocks for sale and still continue your brokerage if you wish. * No need to build a huge downline to earn a good income. Just one sale would mean big commission. * No danger of saturation. The demand is always higher than the supply. 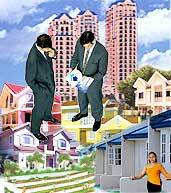 * Due to its Global market, real estate is no longer dependent on the rise and fall of Philippine economy. To those who prefer to recruit more people, Land Asia Realty & Dev't Corporation provides you with an air-conditioned training room complete with overhead projector, whiteboard and other facilities for big groups of 50, plus office cubicles where you can talk to your downline for small groups of 5. 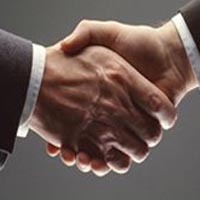 On top of all, Land Asia supports you with computerized system of recruitment and compensation which renders every member worry free in building their network. A job, or a business. It's your choice. You can take it as a job and earn huge commissions. Or you can take it as a business by building your downlines to earn huge over riding commissions from them, or you can do both. Your uplines in Land Asia will show you how every step of the way. Real Estate is now a Global Business. Get prepared, align your business with real estate, go hi-tech, and cash will surely come your way.